If you have followed this blog for sometime, you know I do not have a great relationship with sport watches. I would always feel pressured wearing them. In fact, I have never worn a sport watch during any of my 4 marathons. However, times are changing. I am not one to freak out about my finishing time - I always just want to finish. 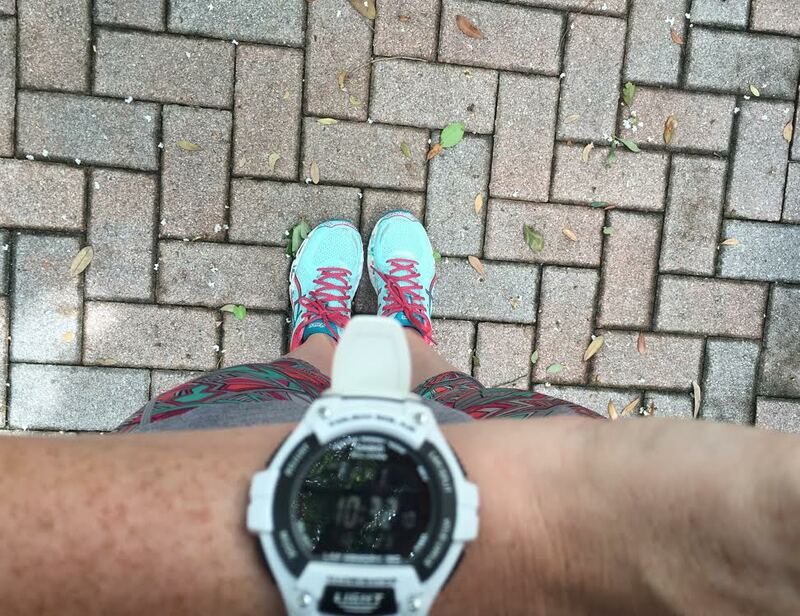 When I learned I would be running the Dublin Marathon with ASICS America this Fall, I made a goal to myself to become a faster, stronger runner. This means intervals and speed work - and you cannot do either of those without a timing device. "Interval's are my best friend" said no one ever. Luckily for me, Kohl's sent me a watch to assist me with my marathon training. 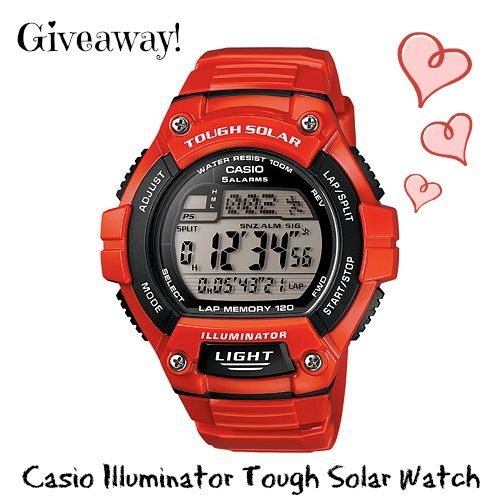 This summer, I am training with the Casio Watch Illuminator Tough Solar Digital watch. My favorite feature about this watch is that it is solar powered. For the very short period of time I wore a sports watch, it would be dead when I went to use it. Upon receiving my watch, I placed it on my home offices windowsill and the next day, it was ready for use! 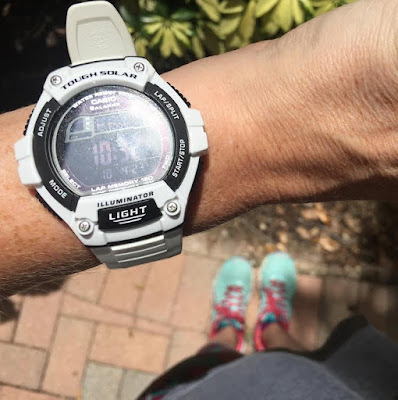 The Casio Illuminator Tough Solar watch has many wonderful features which is perfect for both the beginner and avid runner including a 120-lap chronograph, world time, five daily alarms and more features make it a multifunctional sports watch that's sure to keep you on track. Along with the large line of Casio sports watches, I was shocked to see the variety of watches Kohl's carries. I always saw them as an apparel and home store, yet they carry multiple active and wellness brands - everything from Fitbit, Jawbone, Casio, Garmin, Nike, Asics, Pro-Form, and more. 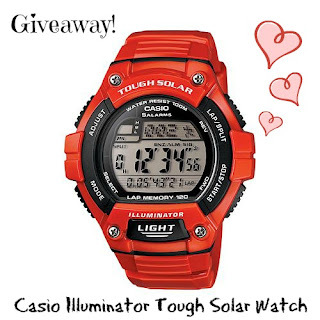 Kohl's provided me with an red Casio Illuminator Tough Solar Watch to giveaway to one of my readers. Let me know in the comment below what race you are training for. Be sure to log your entry in the Rafflecopter widget below to open up additional chances to win! This post is sponsored by Kohl's as part of their #TrainWithKohls campaign and I was compensated for this blog post. As always, all opinions are my opinion. BDR Cape Coral--shooting for a BQ!! So, I guess I'm training for Boston! I am not currently training for a race, just getting back into the workout groove and this would be a great asset because my current watch is on it's last leg. Training for 4! Parks Half, National Capital 20 Miler, MCM, and Wine and Dine. I am doing a race in DC! I'm running the full marathon in Kansas City in October! I'm not currently training for a race but my next one is the Inaugural Cocoa Beach Half Marathon in October. I'll be running the Special Olympics half-marathon in August and a Spartan Sprint in December. At this time I'm not training for a race; recent injury to my knees has impacted me. I'm currently training for a race! Not training for a race right now, but I need to be! Time to get registered for one so I have something to work towards.